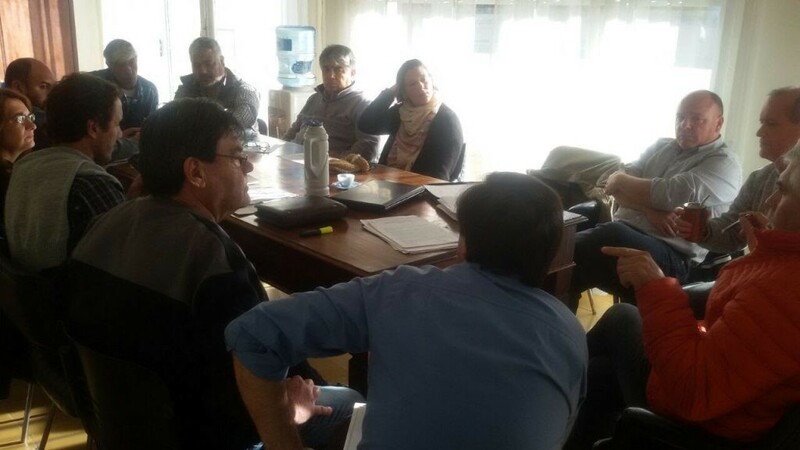 Representatives of the Luz y Fuerza Mar del Plata (LyFMdP) union along with delegates and employees of the local branch of EDEA S.A. company, met with town councillors from different political parties and with Adolfo Gonzales Chaves’ Mayor, Eduardo Marcelo Santillán. Representing LyFMdP were its Secretary General, José Rigane, the Assistant Secretary General, Rubén Chirizola, Secretary Romina Quintas , Vocal Raúl Eduardo Loyola and delegate Martin Goytiño. The meeting’s purpose was to inform town councillors and other authorities of the conflict which, for more than 20 days, has been taking place between the EDEA company and its employees. The company employees are protesting because there’s no hiring of new staff to replace those who are retired and to cover the new demands due to population growth in the area. The company ignores the workers’ claims and does not invest in new equipment or personnel. After the meeting a press conference was held at the recently inaugurated local headquarters of LyFMdP in Gonzales Chaves. During the meeting, they also discussed the energy rate hikes, as well as the seasonal tariff and the social tariff, both of which were modified with the new system for the province of Buenos Aires. 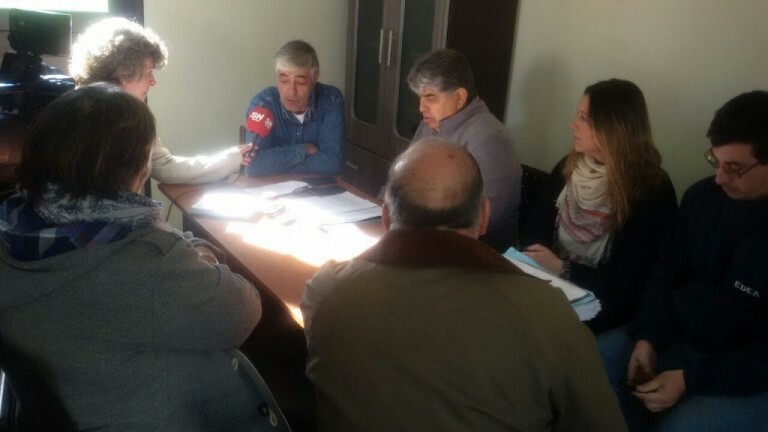 Participant town councillors and the Mayor agreed to accompany the position of the Luz y Fuerza Mar del Plata union and the workers.